It's 2018, and we've got other options now! 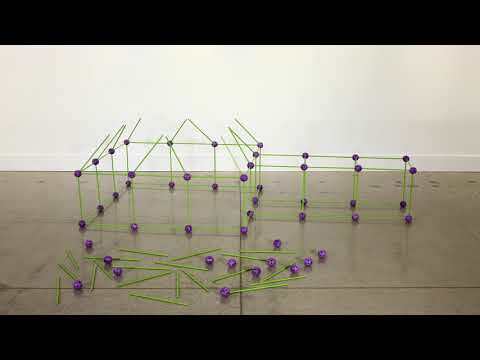 Using this kit with 25 geometrically precise plastic balls and 44 reinforced neon green sticks, you can build any NUMBER of structures to then decorate and play inside. The possibilities are limitless - igloos, cottages, spaceships, teepees, castles, log cabins, you name it! Crawl into your pretend barn and MOOOOVE around it, or return to your igloo after a rough journey through the tundra! The pieces easily fit together, and come easily apart. Imagining and creating a fort exercises all kinds of brain matter, including visual-spatial skills, creativity, and problem-solving skills. Everyone deserves their own space, especially if they built it themselves!